And kind of by coincidence, around the time I dropped out, I found e-commerce, and specifically, Shopify dropshipping.Once I learned about the business model, I immediately became hooked. The idea of selling products online for a profit, products I never even have to touch, using nothing but my laptop and Internet connection. it was intoxicating. 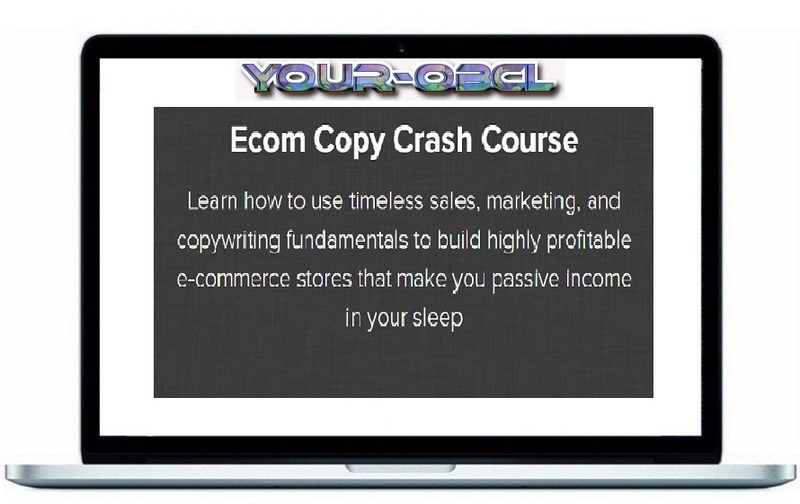 Which is exactly why I created the product you see here, Ecom Copy Crash Course.Taking everything I learned about sales and marketing by chaining myself to my desk for months on end, I applied them to my e-commerce store. I recorded the results, figured out what worked and what didn’t, took notes, the whole nine. When creating ECCC, I made it a point to make sure every sentence, every piece of content, was there for a reason.And that reason is to teach you the fundamentals of sales and marketing as they apply to e-commerce so you can see what us “successful” (I don’t really consider myself super successful, but) ecom guys are doing, and apply it to your own stuff and start making money now, not later. To get the course, just click the button below that says, “Enroll In Course For $332” and you’ll be taken to a secure checkout page where you’ll get access to the course immediately upon completion of payment.